MediStar Healthcare Connections Corporation ("MediStar") has emerged as the leader in the design, development and provision of remote access, secure and professional pharmacy staffing support services for hospitals nationwide. Our services help hospitals and hospital groups to improve process, efficacy of patient care and management, while achieving clinical and financial outcomes remarkable in today's healthcare environment. The company was co-founded by highly experienced hospital Pharmacists with many years of experience primarily in the hospital setting. The concept of MediStar was formulated out of necessity by our current president and chief executive officer, Ini P. Akpabio, a highly experienced professional pharmacist who believed that the role of pharmacists in the improvement of healthcare practice cannot be undermined. Rather than "joining everybody" to stand and watch the challenges in escalating healthcare costs as a cancer without a cure, he and his co-founders of the company saw the …. "Pharmacists Improving the Practice of Healthcare concept"…. as an opportunity to provide a solution to a growing national crisis by using existing technology systems and resources. "We do not regard this as a problem," said Ini Akpabio, President/CEO of the company. "We view this as obvious opportunity for a positive change". "MediStar concept is a catalyst for positive change", Eugene Okonkwo, COO/CFO of MediStar re-iterated. 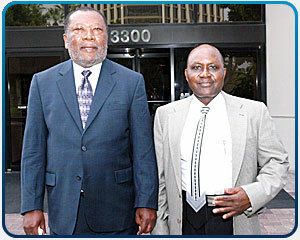 Ini and Eugene are co-founders and current executives of the company. 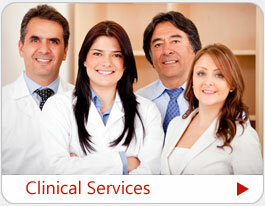 While Medistar was formed in August of 2003, our services are focused and dedicated to customer needs. MediStar's network technology systems have been tested for performance and certified for reliability. Our services are provided with licensed, highly qualified, experienced, and well trained clinical Pharmacists who understand healthcare and are dedicated to patient's safety. Our superb Network Systems Technologies ensure complete and secure patient's information in compliance with HIPPA regulations. Our business approach focuses on working closely with our customers to meet their needs. Our 24 hours a day, 7 days a week business model gives hospitals a single source for pharmacy staffing supports, particular during those after hour times of 6:00pm to 7:00am, weekends and holidays. Treating diseases with clinical excellence, while strengthening economic viability, is the profound challenge facing every hospital today, especially with the new healthcare reforms. As a continuous process improvement, many hospitals are concerned about how to provide cost efficient, quality patient care. As a catalyst for positive change, MediStar services provide staffing supports in a non-traditional pharmacy setting cost effectively, allowing in-house Pharmacist at our hospital clients to focus on pharmacy clinical issues. 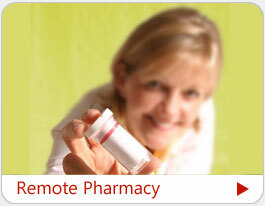 While we are excited for your interest in the excellent professional Remote Access Pharmacy staffing services we provide to Hospitals, otherwise known as Remote Order Entry (ROE) services, we consider it a privilege to conduct business with you. 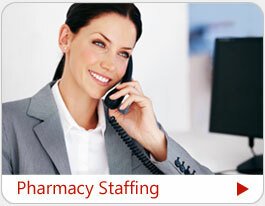 We look forward to meeting the diversified pharmacy staffing needs of your hospital institution. As the healthcare industry continues to evolve, MediStar is ready to meet your pharmacy staffing needs.